A couple of months ago, Amazon released an all-new Kindle Oasis, and I’ve been using it since mid-November. The E-Reader market is a niche inside of a niche, but there’s little doubt that Amazon has been at the forefront of E-Readers since the Kindle first launched. 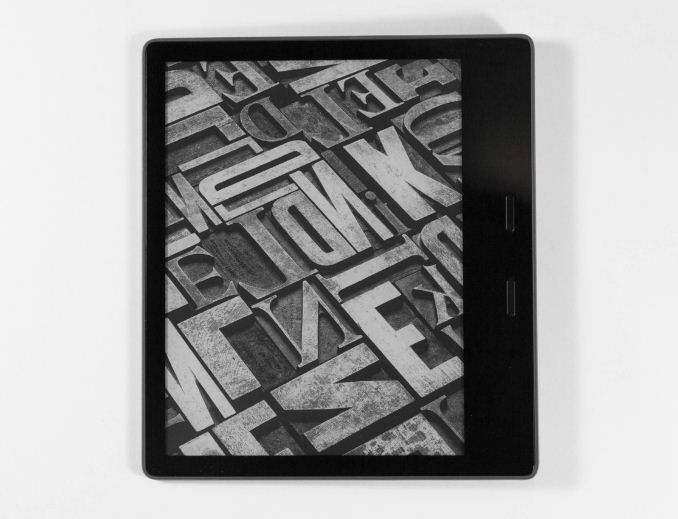 If you’re someone who loves reading, you’ve hopefully had a chance to try reading on an E-Ink display, but if not, maybe this is the time to jump in. Amazon offers the Kindle lineup for pretty much one reason. Owners of Kindles are almost guaranteed to purchase books from Amazon, and as such, Amazon has done a pretty reasonable job keeping the entry cost into the Kindle lineup fairly low. Right now you can get the lowest cost Kindle for just $79.99, assuming you are ok with Amazon’s “Special Offers” which is advertising from Amazon on your lockscreen. If you don’t want that, the Kindle is $99.99. However, the new Kindle Oasis for 2017 starts at $249.99 with Special Offers, or $269.99 without, so for that much of an increase, Amazon needs to pack in the features. Luckily they did. The Kindle Oasis doesn’t just need to compete with the base Kindle though. Amazon also offers the Kindle Paperwhite, which is their entry level model with lighting, and the Kindle Voyage, which at one point was at the top of the stack, but now sits below the Oasis in terms of features and pricing. And that’s just the competition with other Kindles. The 2017 Oasis adds some nice features over it’s cheaper brethren though. The once change that is hard to miss is the larger E-Ink display, now at 7-inches diagonal, compared to 6-inches for the other devices. It’s still the same 300 PPI display as offered in both the Paperwhite and the Voyage, but with additional LEDs for a more even lighting. The Oasis is also made out of aluminum, rather than plastic, and is thinner and feels lighter than the other models despite the larger display. It supports Bluetooth for headphones or speakers, which lets you use the device for Audible audiobooks, and for those that like to use their Kindle around water, it’s also IPX8 rated meaning it’s able to be dropped in water and still function. With the addition of audiobook support, Amazon offers double the storage by default, or you can opt for the 32 GB model for another $30. For those that like the always-connected nature of cellular, Amazon continues to offer cellular enabled devices as well, for a premium. Luckily you don’t have to deal with a data plan if you do get a cellular equipped device, since Amazon covers that for the life of the device. I’ve been a heavy Kindle user since the 3rd generation Kindle launched back in 2010. The one big issue with the older kindles was the lack of a built-in light, so when the Paperwhite launched in Canada I jumped on it. That model lasted for about four years until the power switch started to fail, so I upgraded to the latest generation of Paperwhite. This review will focus on the Oasis, but with comparisons to the Paperwhite where applicable.